Now you can check the Delhi police FIR status online quite easily. 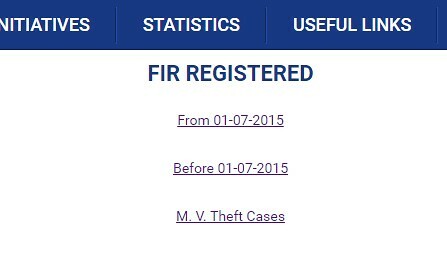 Even if you do not know the FIR number correctly, you can still search for the Delhi FIR online in the Delhi police website. You just need to know the FIR date range and anyone names of the victim, accused or complainant. If you know the FIR number exactly, it is quite easy for you to search. In both the cases, you need to know the district, police station and year as these fields are mandatory to view the FIR status online in Delhi. 1. Visit the link - http://www.delhipolice.nic.in/view-fir.html. 2. There will be three options mentioned as below. 3. Click on the appropriate option as required. 4. You will be redirected to the appropriate link based on the option you have selected. 5. For the FIR registered from 01-07-2015, you will be redirected to Crime and Criminal Tracking Network and Systems where you will have options to do FIR search. To search for the Delhi Police FIR Online status, please follow the below steps. IF you know the FIR number correctly, enter the mandatory details like District, Police Station, Year and then give the FIR number. Click on 'Search' button to proceed. If you do know the FIR number correctly, enter the mandatory details like District, Police Station. Then select the FIR date range. You are also required to give any one of the names like accused, victim or complainant. You can enter partial names too in the box. Click on 'Search' button to proceed. Additional information and instructions are available in the search page itself. 6. The above procedure has to be followed for the other 2 cases too. But they will be opened in different URL where you have to give the appropriate inputs. Hope the article on the topic 'Delhi Police FIR status Details Online' is useful for you.